American Atheists A nationwide movement founded by Madelyn Murray O'Hair which defends the civil rights of nonbelievers, works for the separation of church and state, and addresses issues of First Amendment public policy. American Civil Liberties Union (ACLU) The right to practice religion, or no religion at all, is among the most fundamental of the freedoms guaranteed by the Bill of Rights. The ACLU works to ensure that this essential freedom is protected by keeping the government out of religion. Annenberg Political Fact Check We are a nonpartisan, nonprofit, "consumer advocate" for voters that aims to reduce the level of deception and confusion in U.S. politics. We monitor the factual accuracy of what is said by major U.S. political players in the form of TV ads, debates, speeches, interviews, and news releases. Our goal is to apply the best practices of both journalism and scholarship, and to increase public knowledge and understanding. The Annenberg Political Fact Check is a project of the Annenberg Public Policy Center of the University of Pennsylvania. Also see Snopes . Atheist Alliance (AAI) An umbrella organization for independent, local atheist groups. The goal of the Alliance is to help establish strong, democratic, autonomous atheist societies around the world. The Alliance sponsors an annual national convention, publishes the quarterly Secular Nation magazine, and engages in other activities to help make the atheistic viewpoint heard and respected. Atheist Foundation of Australia Nice collection of information and articles here. Atheist Revolution This is just a private blog but it's interesting and pretty active. The Atheist Spot "The Atheist Spot is a community for atheists, agnostics, and all freethinkers. " Atheist Volunteers Doing good in the name of atheism. Beyond Belief: Science, Religion, Reason and Survival This site documents a conference of scientists and philosophers held in early November 2006. I found the 20+ hours of downloadable video fascinating. Beyond Belief 2 is a sequel to Beyond Belief 1, held again at the Salk Institute starting October 31, 2007. This year the program is available for viewing by participant and at no charge. From the website: "The aim of Beyond Belief: Enlightenment 2.0 is to invite participants to undertake together an ongoing reconnaissance of Enlightenment ideas in the light of advances in primarily cognitive neurosciences, evolutionary biology, physics etc. though not by any means scanting history, philosophy, law." And, "We really do think of this as an ongoing project to foster and promote the use of reason in formulating social policy. It is interesting that both ends of the political spectrum are currently gnashing teeth and blaming the others for either a "Retreat from Reason" or an "Assault on Reason". It would be refreshing to have a rational discussion about this!" The Brights "What is a bright? A bright is a person who has a naturalistic worldview. A bright's worldview is free of supernatural and mystical elements. The ethics and actions of a bright are based on a naturalistic worldview. Is Your Worldview Naturalistic? Think about your own worldview to decide if it is free of supernatural or mystical deities, forces, and entities. If you decide that you fit the description above, then you are, by definition, a bright! On this website, you can simply say so and, by doing so, join with other brights from all over the world in an extraordinary effort to change the thinking of society—the Brights movement." Center for Inquiry Transnational A Global Federation committed to science, reason, free inquiry, secularism, and planetary ethics. The Council for Secular Humanism is North America's leading organization for non-religious people. A not-for-profit educational association, the Council supports a wide range of activities to meet the needs of people who find meaning and value in life without looking to a god. Its activities range from magazine publishing to campaigning on ethical issues, from conferences to support networks, from educational courses to conducting secular ceremonies, from local groups to international development. 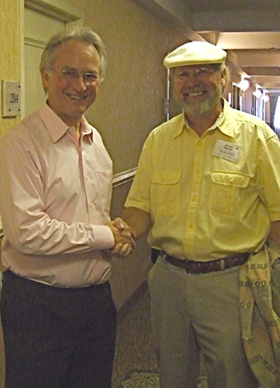 Officers of the Council for Secular Humanism include Paul Kurtz (Chairman) and Executive Director David Koepsell. Debunking Christianity This Blog has been created for the purpose of debunking Evangelical Christianity. 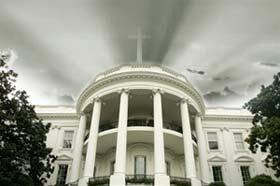 We are ex-Christians, ex-ministers, and even ex-apologists for the Christian faith. We are now freethinkers, skeptics, agnostics, and atheists. With the diversity of our combined strengths we seek to debunk Christianity. Defend Science The Defend Science Statement aims to rally broad opposition and resistance to the mounting attacks on science and scientific thinking which are unfolding in the United States. Our basic aim now is to run the Defend Science Statement, signed by scientists, as an ad in major newspapers, reaching millions. Edge Edge Foundation, Inc., was established in 1988 as an outgrowth of a group known as The Reality Club. Its informal membership includes some of the most interesting minds in the world. The mandate of Edge Foundation is to promote inquiry into and discussion of intellectual, philosophical, artistic, and literary issues, as well as to work for the intellectual and social achievement of society. EthicalJohn Ethical Humanism blog of SKP Freethinkers member John de Waal "dedicated to searching for the truth in all matters pertaining to human behavior... Ethical Humanism is a view of the world in which reason, compassion, and commitment to ethical values are central and is what it takes to live meaningful and fulfilling lives, while creating a world that is good for all. It is the one thing that is at the heart of all religions. We focus on supporting one another in becoming better people, and on doing good in the world." Evolve Fish dot com Commercial website for bumper stickers, Darwin fish, buttons, etc. "Evolve FISH is based in Colorado, and is dedicated to countering the destructive aspects of religious zealotry. We create and gather enlightened symbols and materials and advertise these products online; with special focus on areas where zealots are trying to usurp the freedoms of the targets of their bigotry." Fayetteville Freethinkers This is a small local group in Arkansas that is typical of many others across the country. There is plenty of value here free for the reading. Freedom From Religion Foundation This national association of nontheists has been working since 1978 to promote freethought and defend the constitutional principle of the separation of state and church. The Freethinker "The voice of atheism since 1881." British magazine and website. In issue 1 of the Freethinker (May, 1881) the founder, G.W. Foote wrote: "The Freethinker is an anti-Christian organ, and must therefore be chiefly aggressive. It will wage relentless war against Superstition in general, and against Christian Superstition in particular. It will do its best to employ the resources of Science, Scholarship, Philosophy and Ethics against the claims of the Bible as a Divine Revelation; and it will not scruple to employ for the same purpose any weapons of ridicule or sarcasm that may be borrowed from the armoury of Common Sense." Ever since, the Freethinker has remained faithful to Foote’s founding principles, and has never wavered in its opposition to religion. The Friendly Atheist 21 Unconvincing Arguments for God.. All in just two pages. Institute for Humanist Studies The Institute for Humanist Studies (IHS) is a think tank whose mission is to promote greater public awareness, understanding, and support for humanism. This particular page defines humanism and asks, "Are you a humanist?" Landover Baptist Church See for yourself how far over the top religion can go in the United States... if you dare! The Work of Michael Shermer Dr. Michael Shermer is the Founding Publisher of Skeptic magazine, the Executive Director of the Skeptics Society, a monthly columnist for Scientific American, the host of the Skeptics Distinguished Science Lecture Series at Caltech, and Adjunct Professor of Economics at Claremont Graduate University. Dr. Shermer’s latest book is The Mind of the Market, on evolutionary economics. His last book was Why Darwin Matters: Evolution and the Case Against Intelligent Design, and he is the author of Science Friction: Where the Known Meets the Unknown, about how the mind works and how thinking goes wrong. His book The Science of Good and Evil: Why People Cheat, Gossip, Share Care, and Follow the Golden Rule, is on the evolutionary origins of morality and how to be good without God. He wrote a biography, In Darwin’s Shadow, about the life and science of the co-discoverer of natural selection, Alfred Russel Wallace. He also wrote The Borderlands of Science, about the fuzzy land between science and pseudoscience, and Denying History, on Holocaust denial and other forms of pseudohistory. His book How We Believe: Science, Skepticism, and the Search for God, presents his theory on the origins of religion and why people believe in God. He is also the author of Why People Believe Weird Things on pseudoscience, superstitions, and other confusions of our time. Minnesota Atheists "We have been active in Minnesota for over thirteen years, gathering together those who have given up their belief in a god or gods to enjoy each other’s intelligent company while we support a variety of efforts to educate the public and influence legislation that may either benefit or interfere with our interests as non-religious people." Naturalisms "Naturalism is a worldview, a philosophy -- a general understanding of reality and humanity's place within reality. Welcome to a website about all the varieties of naturalism. There are many types of naturalism and many reasons to be a naturalist. Other websites about naturalism typically present one type of naturalism (such as reductive materialism or dual-aspect monism) as the exclusive or best version. Your webmaster, John Shook, is a professional philosopher and expert guide for a complete tour of naturalism." NoBeliefs This site doesn't have a stated purpose but the owner seems to be Jim Walker and it has all sorts of Freethinker related stuff. What I've seen here I've liked. North Texas Church of Freethought This wonderful organization was founded in 1994 by SKPF BOF members Mike and Marilyn Sullivan. There's plenty of interest to freethinkers here. On Faith - From the Washington Post and Newsweek: A conversation on religion with Jon Meacham and Sally Quinn "Religion is the most pervasive yet least understood topic in global life. From the caves of the Afghan-Pakistan border to the cul-de-sacs of the American Sunbelt, faith shapes and suffuses the way billions of people-Christian, Muslim, Jewish, Hindu, Buddhist, and nonbelievers-think and act, vote and fight, love and, tragically, hate. It is the most ancient of forces. As Homer said, "All men need the gods." Even the most ferocious atheists find themselves doing intellectual battle on a field defined by forces of the faithful. And so, in a time of extremism -- for extremism is to the 21st century what totalitarianism was to the 20th -- how can people engage in a conversation about faith and its implications in a way that sheds light rather than generates heat? At The Washington Post and Newsweek, we believe the first step is conversation-intelligent, informed, eclectic, respectful conversation-among specialists and generalists who devote a good part of their lives to understanding and delineating religion's influence on the life of the world. The point of our new online religion feature is to provide a forum for such sane and spirited talk, drawing on a remarkable panel of distinguished figures from the academy, the faith traditions, and journalism. Members of the group will weigh in on a question posed at least once a week, perhaps sometimes more often, depending on the flow of the news. We encourage readers to join the conversation by commenting on what our panelists have to say, offering their own opinions and suggesting topics for future discussions." The Out Campaign Atheists are far more numerous than most people realize. COME OUT of the closet! You'll feel liberated, and your example will encourage others to COME OUT too. (Don't "out" anybody else, wait for them to OUT themselves when they are ready to do so). Pat Condell rose to internet stardom in 2007 with a series of topical rants, posted to popular video-sharing websites. With topics usually centering on religion, politics, and current events, each of Pat's videos quickly caused a stir and racked up hundreds of thousands of views. Use the link above to visit his newest venue. Point of Inquiry "Point of Inquiry is the Center for Inquiry’s radio show and podcast, drawing on CFI’s relationship with the leading minds of the day including Nobel Prize-winning scientists, public intellectuals, social critics and thinkers, and renowned entertainers. Each episode combines incisive interviews, features and commentary focusing on CFI’s issues: religion, human values and the borderlands of science. Point of Inquiry explores CFI’s three research areas: Pseudoscience and the paranormal, Alternative medicine, and Religion and secularism." Positive Atheism For Those Seeking to Initiate or Invigorate Their Awareness. Proud Atheists "The Proud Atheists blog was started September 20, 2008. After hosting and moderating many political and atheist discussion forums, I decided to start this blog due to the lack of internet traffic. " 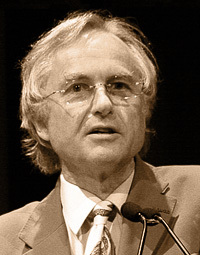 Richard Dawkins "RichardDawkins.net is split into two sections: one side is for the non-profit foundation (RDFRS), and the other is the official promotional (and award winning) site for Richard Dawkins and his books. In order to obtain our non-profit status in the UK and US, we are required to keep our book and tour promotion activities separate from the foundation's non-profit work. We hope you enjoy both of these growing new websites." Sam Harris Website of author of "The End of Faith" and "Letter to a Christian Nation"
Secular Coalition for America "Washington-based lobbying organization for atheists, humanists, freethinkers, and other nontheistic Americans. Our mission is to increase the visibility and respectability of nontheistic viewpoints in the United States and to protect and strengthen the secular character of our government as the best guarantee of freedom for all." Skeptics Society "The Skeptics Society is a scientific and educational organization of scholars, scientists, historians, magicians, professors and teachers, and anyone curious about controversial ideas, extraordinary claims, revolutionary ideas, and the promotion of science. Our mission is to serve as an educational tool for those seeking clarification and viewpoints on those controversial ideas and claims. Under the direction of Dr. Michael Shermer, the Society engages in scientific investigation and journalistic research to investigate claims made by scientists, historians, and controversial figures on a wide range of subjects. The Society also engages in discussions with leading experts in our areas of exploration. It is our hope that our efforts go a long way in promoting critical thinking and lifelong inquisitiveness in all individuals." Snopes "Urban legends are a specific type of folklore, and many of the items discussed on this site do not fall under the folkloric definition of "urban legend." We are following the more expansive popular (if inaccurate) use of "urban legend" as a term that embraces not only urban legends but also common fallacies, misinformation, old wives' tales, strange news stories, rumors, celebrity gossip, and similar items." Also see Fact Check . The James Randi Educational Foundation An educational resource on the paranormal, pseudoscientific, and the supernatural. The Problems with Beliefs This essay unpacks the concepts embedded in the word "belief" brilliantly. Why Won't God Heal Amputees? "Is God real, or is he imaginary? It is one of the most important questions in America today, because this question lies at the heart of the American culture wars." Yahoo! Group Before the SKP Freethinkers BOF had a website we used a Yahoo! Group to communicate. We no longer use it for messages but it still exists and is available to our members as archives of our early conversations. All of our forums, including the Yahoo! Group require Membership in our BOF to join.